Company founder Paul E. Balise grew up on a farm in Hatfield, Massachusetts. In 1919 he purchased a welder and began fixing farm equipment and automobiles from his backyard garage. Then he opened the Hatfield Garage and became an associate Chevrolet dealer in Hatfield. In March of 1929 Paul moved to Chicopee Falls, Massachusetts and opened a Chevrolet dealership and Used Car Outlet in Chicopee. In the early 1930’s he moved the Chevrolet dealership to Main Street in the South End section of Springfield, Massachusetts. A few years later Balise Chevrolet moved into a former Dodge dealership on what is now East Columbus Avenue. James E. Balise, one of Paul’s ten children, became President and Dealer of Balise Motor Sales in 1958. In August of 1971, under Jim’s leadership, Balise opened one of the first Honda automobile dealerships in North America. Balise Honda originally operated out of the East Columbus Avenue location alongside Balise Chevrolet. In May of 1985 Balise Honda moved to a new facility on Riverdale Street in West Springfield and a few years later Balise Chevrolet moved across the street to its present location on Hall of Fame Avenue. Jim’s son, James E. Balise, Jr. (Jeb), became President and Dealer of Balise Motor Sales in 1986. 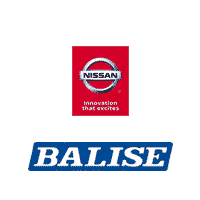 Today, Balise is one of the largest retailers of new and used automobiles in New England. Headquartered in West Springfield, Massachusetts, the organization employs over 1000 associates at facilities in Massachusetts, Connecticut and Rhode Island.